Environmental weeds are plants that have the potential to destroy ecosystems by out-competing and eventually displacing local species. They generally multiply rapidly, adapt easily to a wide range of conditions, and have no native control agents. 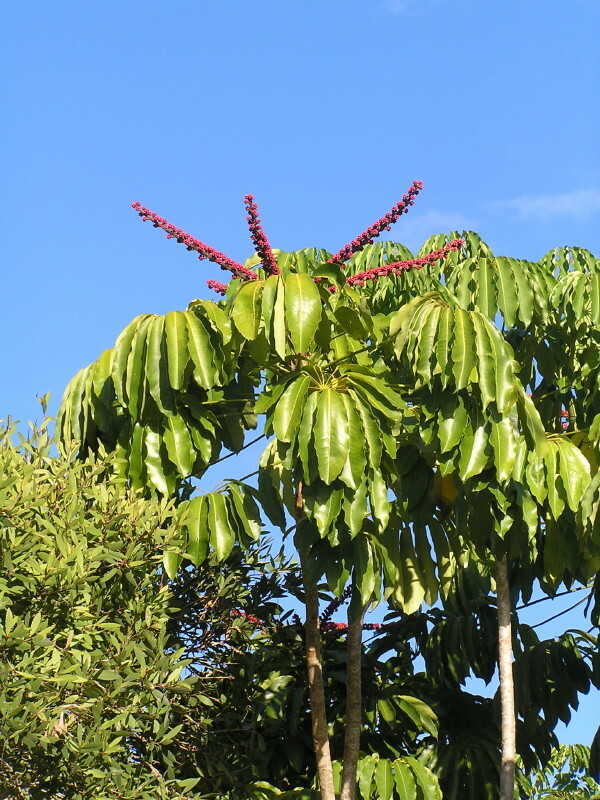 Many of them are alien species that were introduced to local gardens or farms from abroad. Others are native species that have been taken beyond their natural habitat. 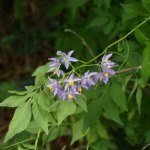 On this page you’ll find some information on the particular weeds that are common in the Marcus Beach area. Click on the photos to see larger versions. 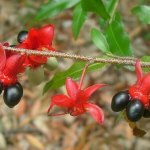 These are pest plants that are targeted for control under Queensland state legislation because they have, or could have, serious economic, environmental or social impacts. All of them are exotic species. Landowners have definite responsibilities with respect to declared weeds. 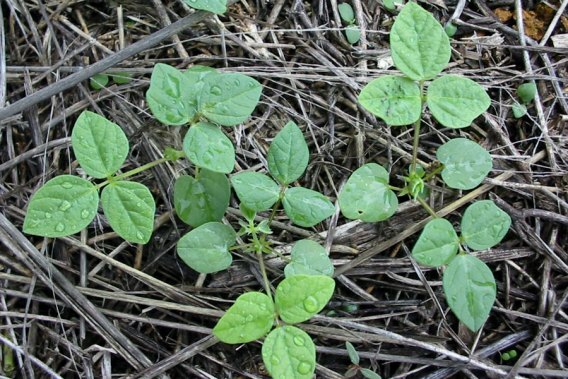 Class 1 weeds have the potential to become very serious pests. Landholders are required by law to keep their land free of them. It is a serious offence to introduce, keep, release or sell them without a permit. Bitou Bush (Chrysanthemoides monilifera subsp. rotundata) is a shrub with bright green leaves, yellow flowers and egg-shaped fruit. 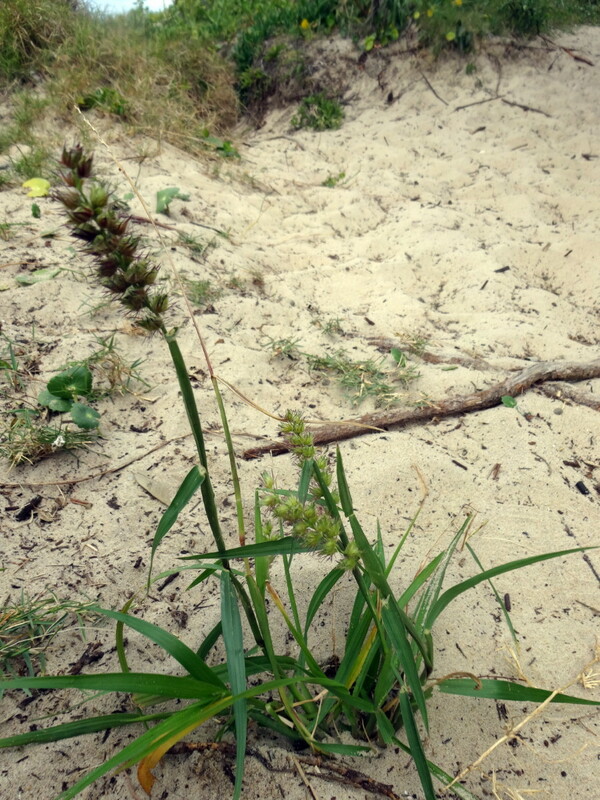 It was originally planted in New South Wales and parts of Queensland to revegetate coastal dunes after sand mining. 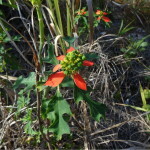 Bitou bush is not yet a problem locally, but there are patches in nearby areas. It has the potential to replace our native beachside vegetation and destroy its value as wildlife habitat. Bitou bush is a Weed of National Significance (WONS). serious that we need to try to prevent further spread. Landholders must try to keep their land free of them and it is an offence to possess, sell or release these pests without a permit. 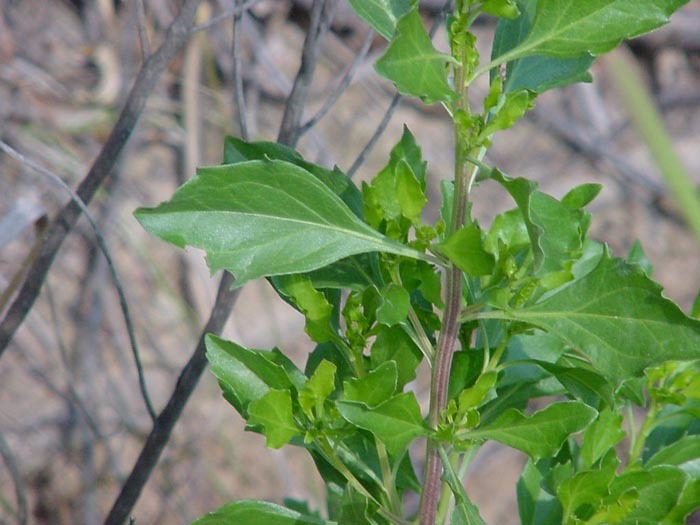 Groundsel (Baccharis halimifolia) is a dense shrub growing up to 3 metres tall. 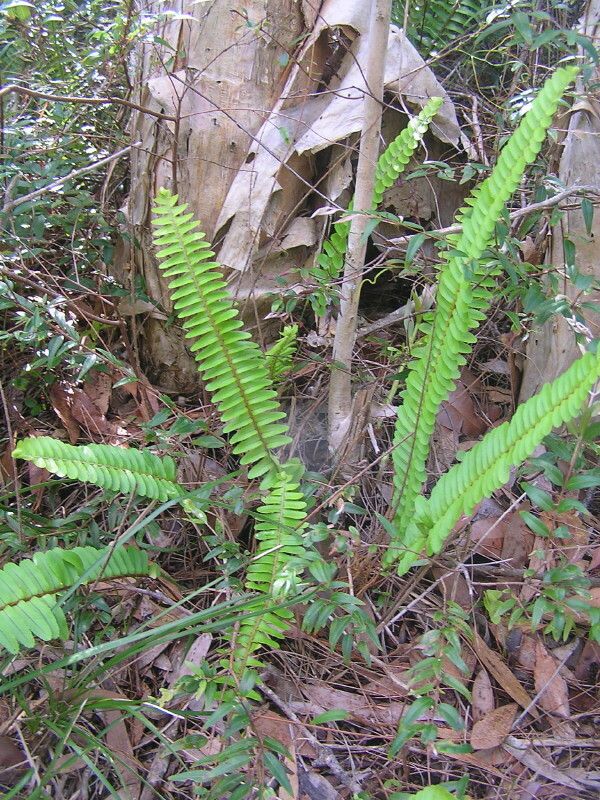 The leaves are wedge-shaped with characteristic “teeth” along the outer edges. The seeds have tufts of white hair and in late March the female plants, covered in a layer of white fluff, can be easily identified. Clouds of seed-bearing fluff can be seen, carried off by the wind to colonize new areas. 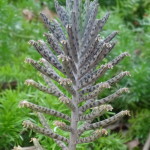 Mother of Millions (Bryophyllum delagoense) is a poisonous, succulent, upright plant with mottled leaves and bunches of pinkish-red, bell-like flowers. Although it can spread by seed, any fragment of the plant can take root and form a new plant. It has invaded our reserves and parks, probably via dumped garden waste and lawn clippings. 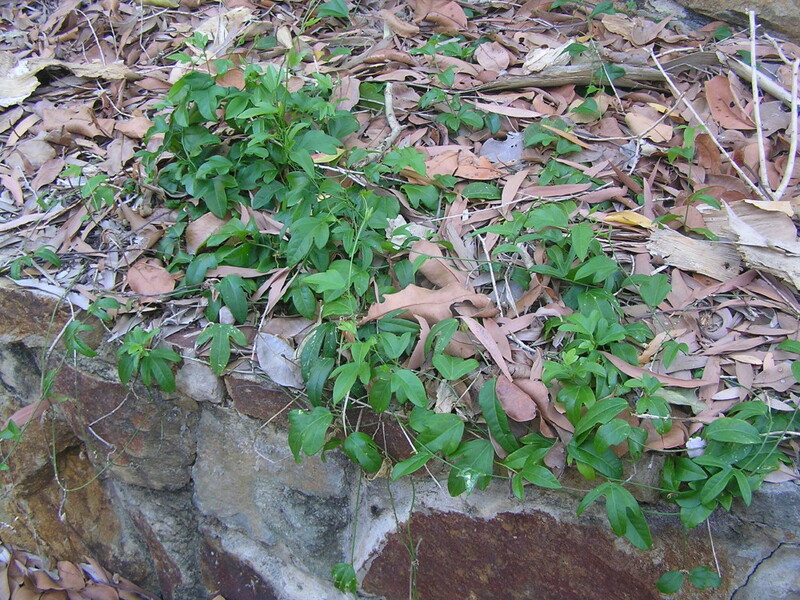 Class 3 weeds are commonly established in parts of Queensland. Landholders can be issued with a pest control notice by a local government if the pest is causing or has potential to cause an negative impact on an adjacent environmentally significant area. It is an offence to supply a Class 3 pest. Ground Asparagus (Asparagus aethiopicus ‘Sprengeri’) is a Weed of National Significance (WONS). 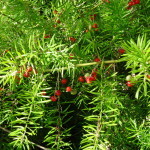 It has long, prickly stems, small white flowers, and green berries ripening to red. Birds eat the berries and can spread the seeds to and from your garden. In many of our natural reserves the ground is covered by a thick layer of this pest. 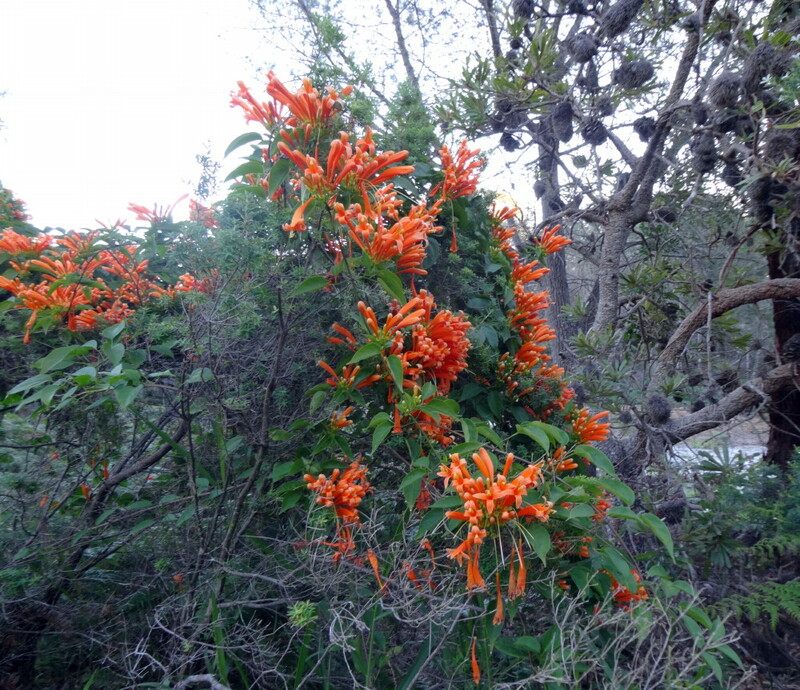 Local bushcare groups spend lots of time trying to get rid of it. 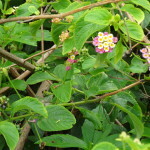 Lantana (Lantana camara) can grow as a vine, in compact clumps or as dense thickets. 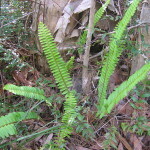 The stems are square, with small prickles. Both stems and leaves give off a characteristic strong odour when crushed. Flowers vary in colour through white, creams, yellows, pinks, reds and mauves. 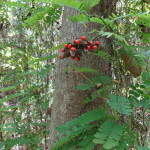 The berries are glossy and purplish-black when ripe. 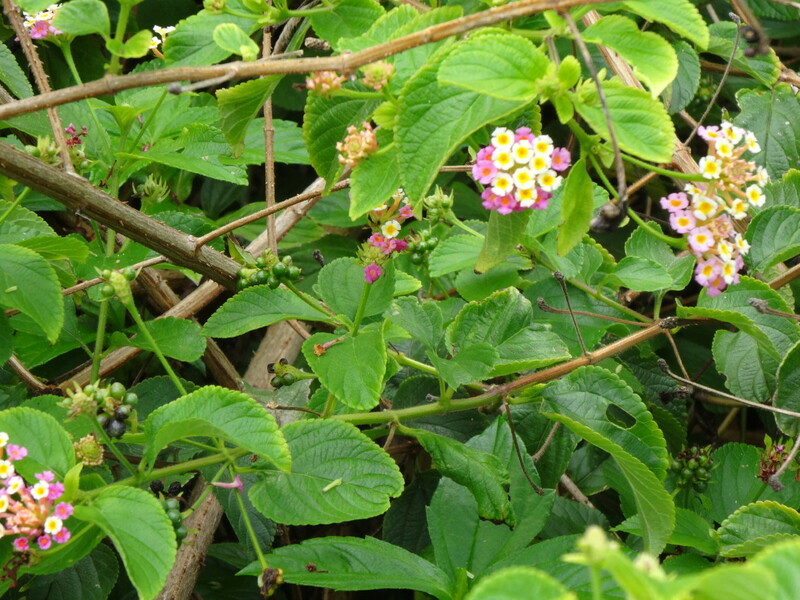 Lantana is a Weed of National Significance (WONS) because it causes severe environmental and economic damage. 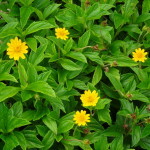 Singapore Daisy (Spagneticola trilobata) is a vigorous, scrambling ground cover with glossy green leaves and yellow daisy-like flowers. It grows rapidly, completely covering the ground and smothering seedlings, ferns and shrubs. Although it can propagate by seed, it usually invades via fragments spread by mowing or pruning. 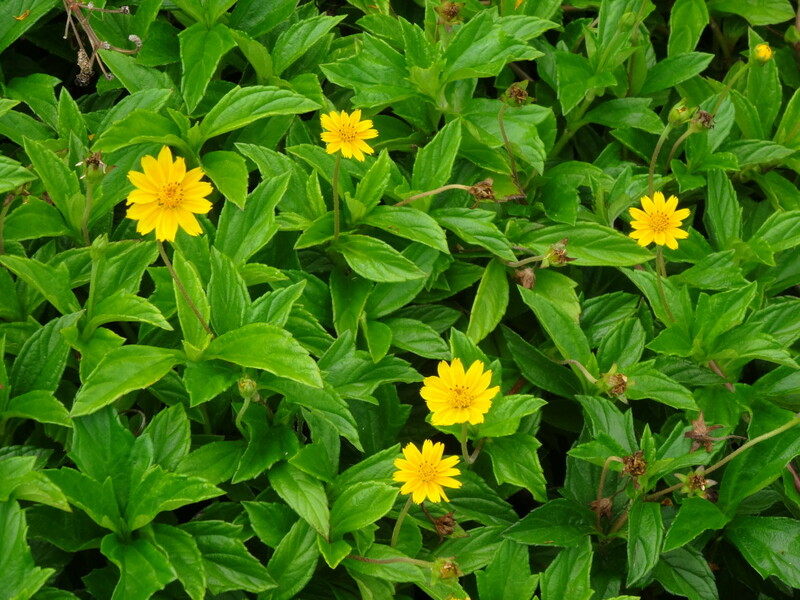 Because Singapore daisy thrives in sand, it has become a serious threat to natural vegetation in our coastal areas. 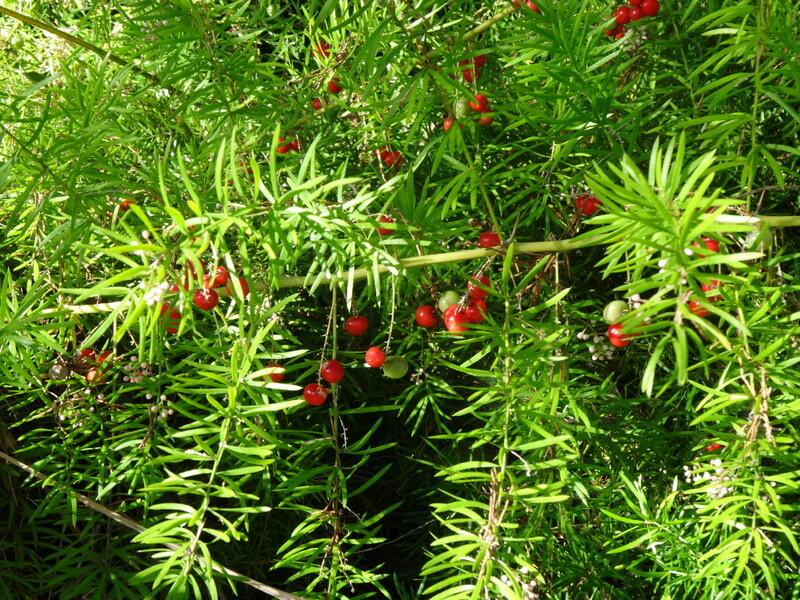 Broad-leaved Pepper (Schinus terebinthifolius) is a tree whose leaves are dark green above and paler underneath. It bears sprays of cream flowers followed, on the female trees, by peppercorn-sized red berries. Birds eat the berries and spread the seed. Broad-leaved Pepper is a serious pest in this area. It dominates many reserves, shading large areas and preventing native species from germinating. 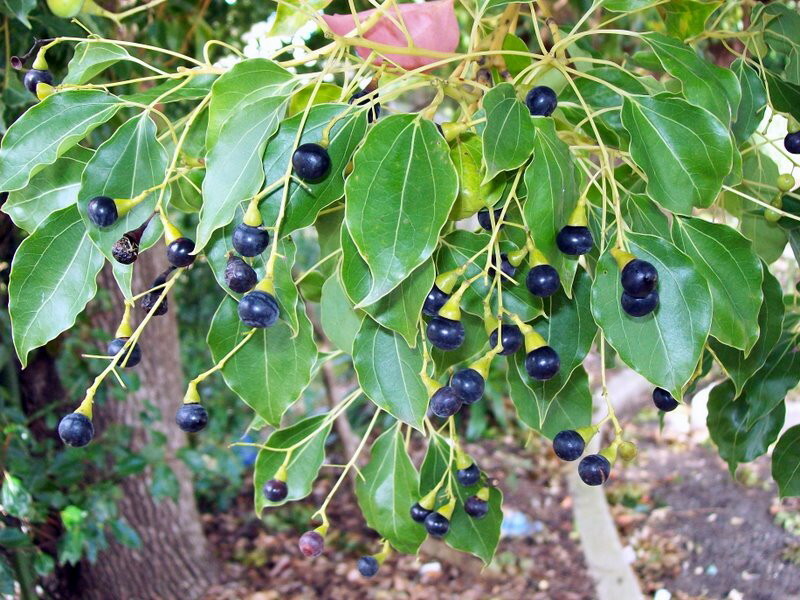 Camphor Laurel (Cinnamomum camphora) grows to a large tree with furrowed bark, glossy green leaves, small white flowers and black berries. The leaves smell of camphor when crushed. Once a prized shade tree on roadsides and in parks and schoolyards, this plant has escaped to devastate large tracts of bushland. Seeds are spread by birds, streams and dumping of garden waste. Only a few environmental weeds are officially declared by the State government. There are many other plants that have less severe, but nonetheless significant impacts on our ecosystems. Some of the locally-found ones are listed here. For an extended list, see the Photo Guide to Weeds. 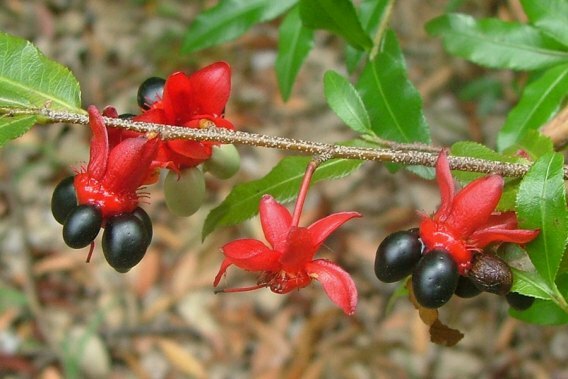 Exotics are plants that have been introduced to Australia from other countries. Many have escaped from farms or gardens to become weeds that threaten our ecosystems. 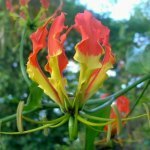 Gloriosa Lily (Gloriosa superba) is a scrambling and climbing plant with light green leaves that often have tendrils on their tips. The flower has large orange and yellow petals. The fruit is a large green pod that eventually splits open to reveal a cluster of reddish seeds. The stems of Gloriosa die back each year, but the network of underground roots and rhizomes survives to give rise to a spreading infestation. Corky Passion Vine (Passiflora suberosa) is a vine which often forms a spreading mat but can also climb high into the tree canopy, helped by numerous tendrils. The older stems have a dry, “corky” appearance. The leaves are dark green and may have the typical three-lobed passionfruit shape. 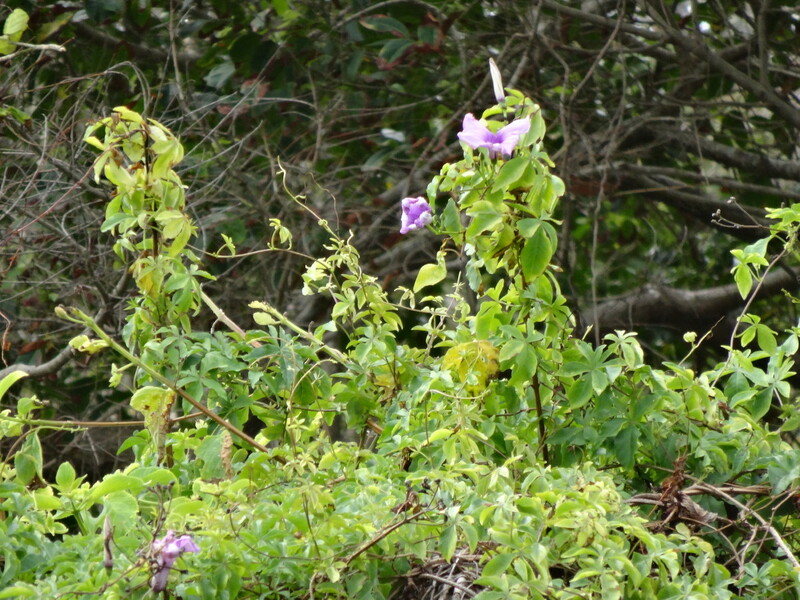 The flowers are greenish and the fruit like miniature purple passionfruit. The seeds are efficiently spread by birds. 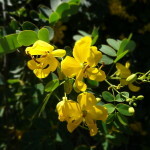 Easter Cassia (Senna pendula var. glabrata) is a shrub that can grow up to 5 metres tall, and is often quite spindly. The leaves consist of 3 to 6 pairs of oval leaflets. The flowers appear around Easter and are bright yellow. They are followed by slender green seeds pods that turn brown. Each seed pod can contain up to 40 seeds. The seeds germinate easily in our local sandy soil. 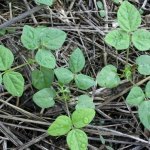 Mile-a-Minute (Ipomoea cairica) is a rapidly-growing creeper that can form a thick mat on the ground or climb over vegetation, smothering it. The leaves are divided into 5 or 7 lobes, with the largest lobe in the middle. 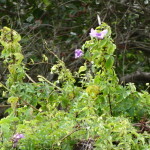 Flowers are pinkish-purple, with a deeper purple throat. The fruit is a brownish capsule which contains 4 brown seeds. Crab’s Eye Creeper (Abrus precatorius subsp. 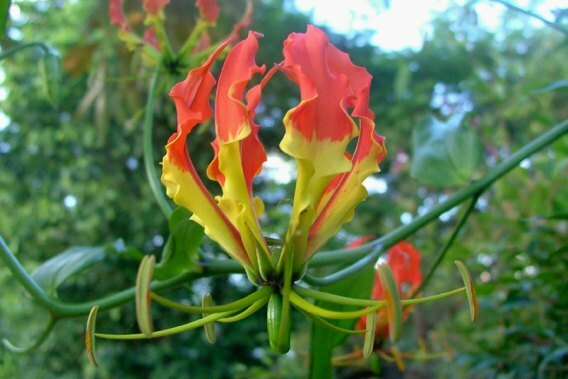 africanus) is a slender vine that climbs high into the canopy. 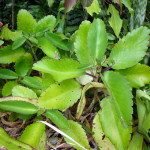 The leaves are divided into smaller leaflets. The pea-shaped flowers are pink and are borne in clusters at the end of a long stem. These produce a cluster of pods whose surface has a rough texture. The pods turn dark brown and split to reveal numbers of shiny red and black seeds. 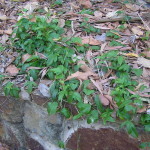 This weed has a long tap-root which makes older plants difficult to remove by hand. 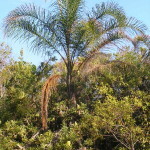 Cocos Palm (Syragrus romanzoffiana), also known as Queen Palm, was once common in Queensland gardens. 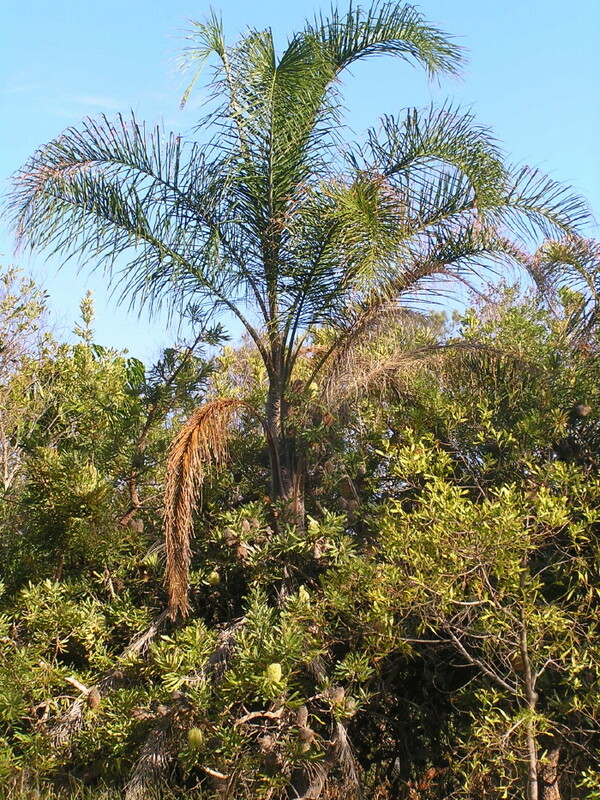 It can be distinguished from native palms because its fronds are not self-shedding and its orange fruit are quite large – about 2.5 cm in diameter. Bats eat the fruit and have spread this palm into our bushland. 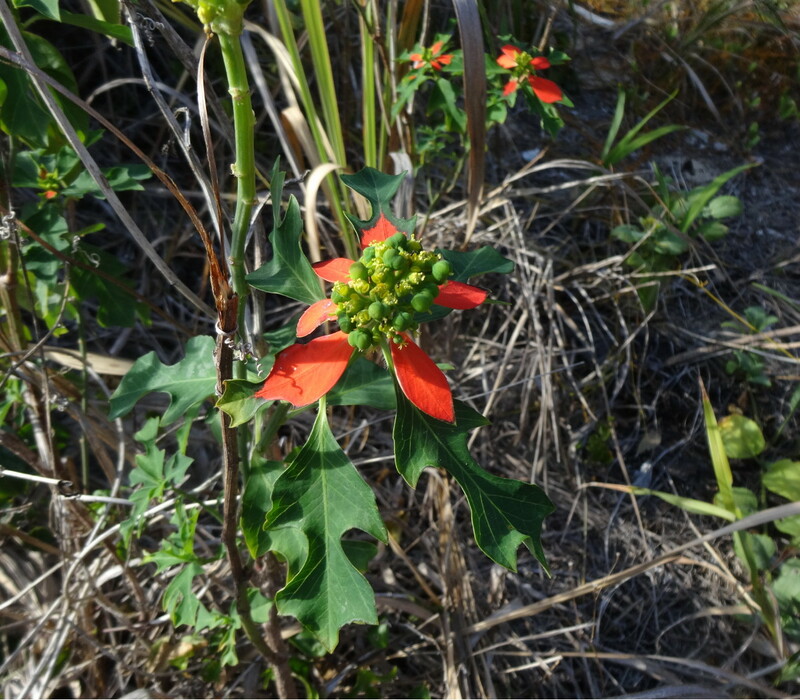 Painted Spurge (Euphorbia cyathophora) is sometimes mistaken for its relative, Poinsettia, because the leaves immediately below the small flower cluster are “painted” red. It’s a herbaceous, upright plant that grows to less than a metre. 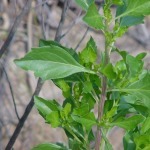 The leaves are often fiddle-shaped and the stem breaks easily, exuding a milky sap. It spreads by seed but is easily removed by hand. 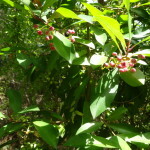 Shoebutton Ardisia (Ardisia elliptica) is a shrub or small tree growing to about 4 metres. 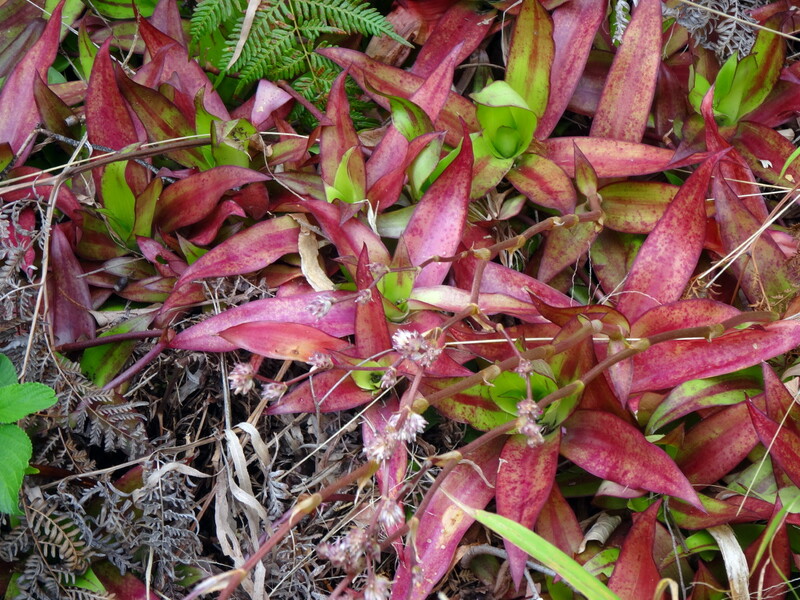 The young leaves are reddish and the plant bears clusters of pinkish flowers. The berries gradually turn from green to red, then purple or black when mature. 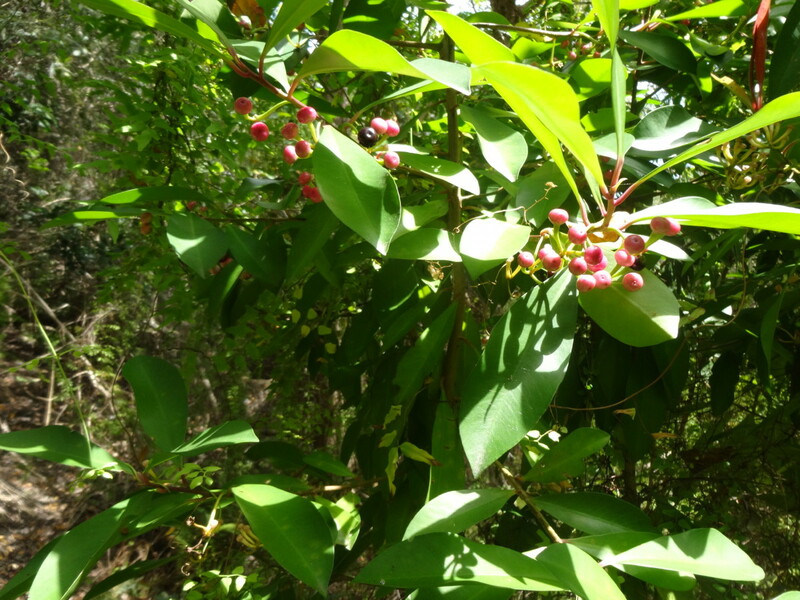 Ardisia reproduces by seeds, which are spread by birds and other fruit-eating animals. It can tolerate shade and forms dense thickets, particularly in moist areas. 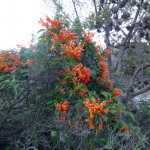 Orange Trumpet Vine (Pyrostegia venusta) is a vigorous creeper that bears clusters of brilliant orange flowers in winter. Allowed to run free in our reserves, it climbs high into the canopies of trees and eventually kills them by blocking light. It is extremely difficult to control because of the huge network of roots and stems. 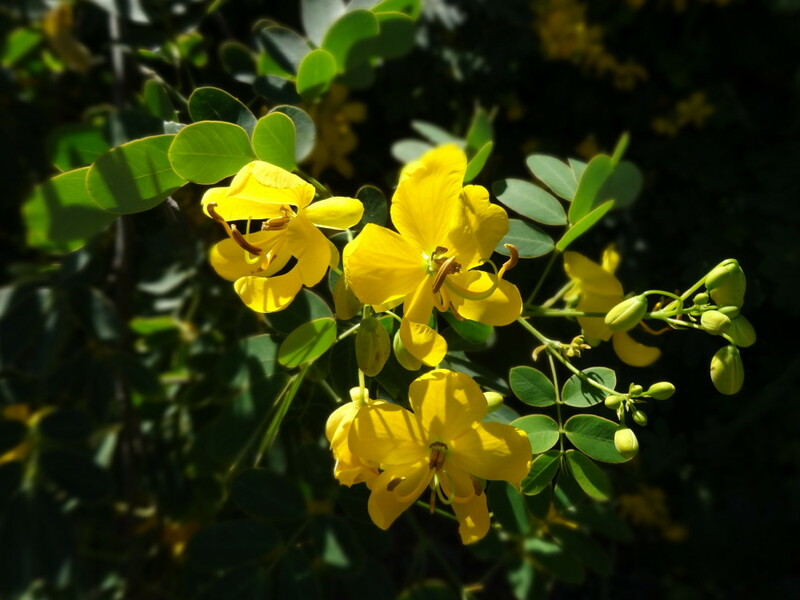 Ochna (Ochna serrulata) or Micky Mouse Plant has been widely grown in Queensland gardens. 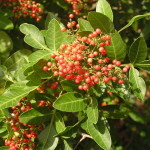 It is a woody shrub whose leaves have toothed margins. 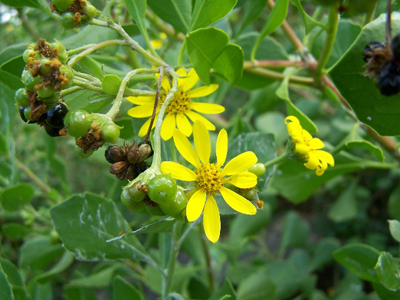 The flowers are bright yellow with green sepals. 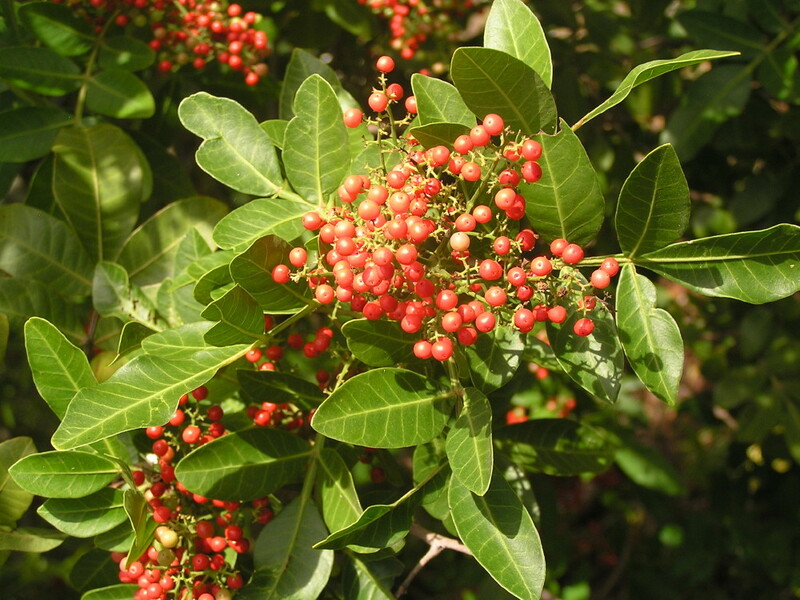 As the fruit ripens from green to glossy black, the sepals turn bright red. The seeds are spread by birds which eat the fruit. Mossman River Grass (Cenchrus echinatus) is an annual grass that forms loose clumps. 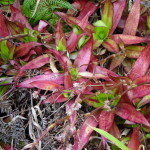 The bases of the stems and lower leaf-sheaths often have a reddish or purplish tinge. The most distinguishing feature is the seedhead made up of sharply-spiked burrs which are purplish-green when young, and turn brownish as they mature. They are sharp enough to painfully penetrate bare feet and are easily spread because they become attached to animal fur, clothing and machinery. 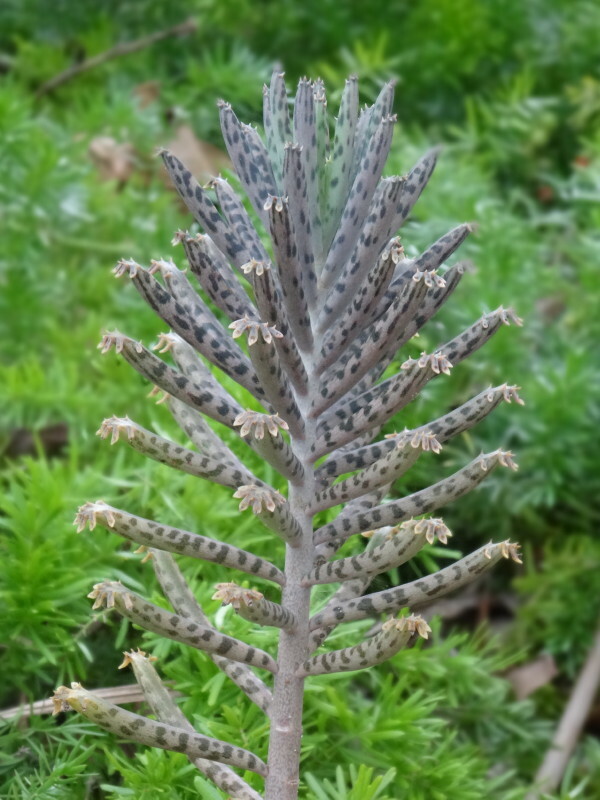 Live Leaf (Bryophyllum pinnatum) is a fleshy plant with light green, glossy leaves. It bears clusters of yellowish to pinkish bell-shaped flowers at the tops of its stems. Live leaf reproduces by seed, and by small plantlets that develop on the edges of the leaves. The leaves are easily detached and these can take root to form new plants. Siratro (Macroptilium atropurpureum) is a slender vine with hairy stems and three-lobed leaves that are hairy underneath. 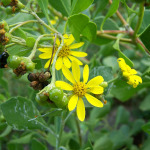 It has been used as a pasture plant, but has become an environmental problem, covering and smothering native vegetation. The pea-shaped flowers are dark red to purple and they produce long, narrow, hairy seed pods which turn from green to brown. 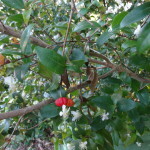 Brazilian Cherry (Eugenia uniflora) is a shrub or small tree with glossy green leaves, similar to those of lilly-pillies. 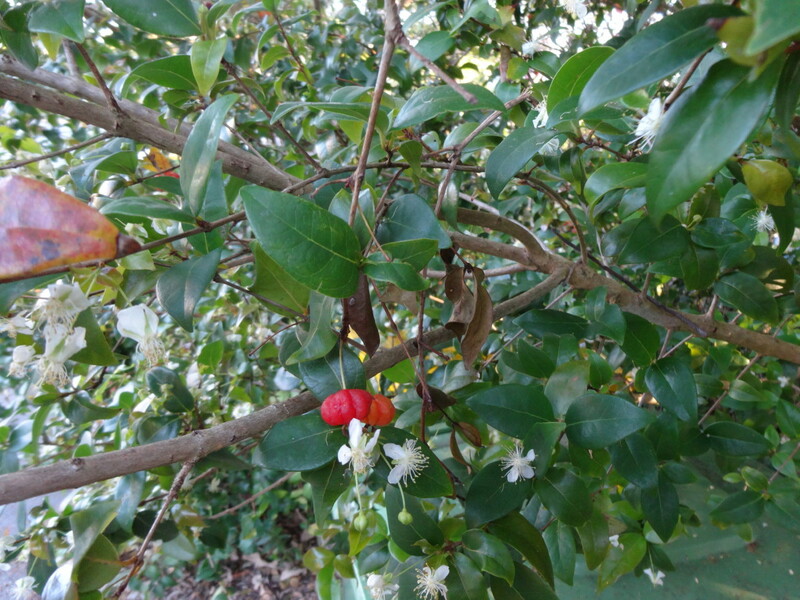 The flowers have 4 white petals, and they produce an edible lobed fruit which is deep red when ripe and has a hard spherical seed, similar to that of a cherry. Birds eat the fruit and spread the seed in their droppings. 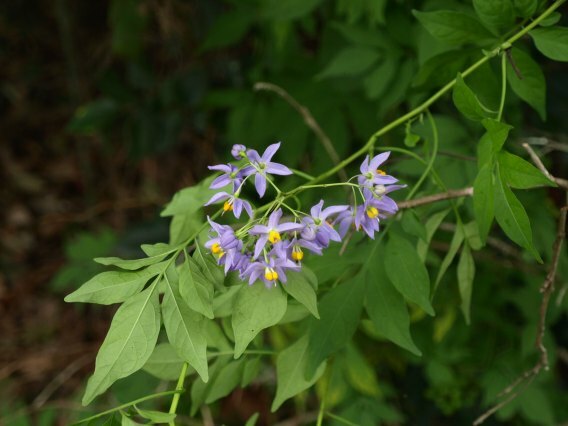 Brazilian Nightshade (Solanum seaforthianum) is a climbing or scrambling vine with deeply-lobed leaves. The flowers, borne in clusters, are star-shaped, with five mauve petals. 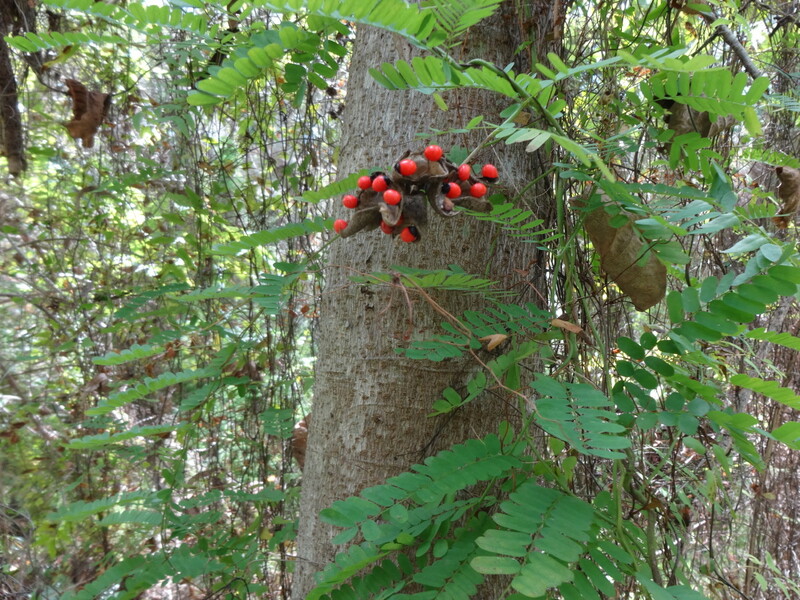 They produce shiny berries, about 10 mm in diameter, which turn from bright green to red. The seeds are spread by birds and other animals that eat the seed. 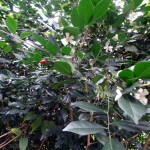 Mock Orange (Murraya paniculata ‘Exotica’) is a shrub or small tree with glossy, lobed leaves. 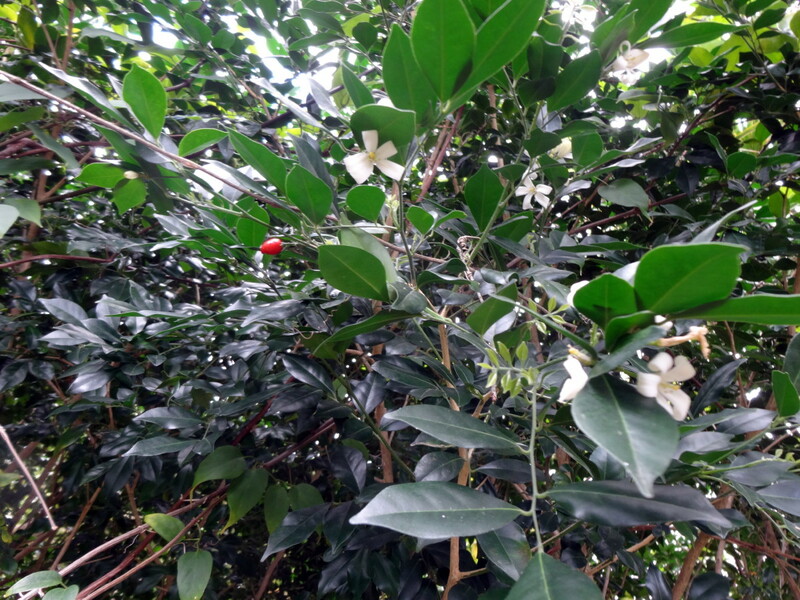 The fragrant white flowers have five petals that curve backward. The fruit is an small egg-shaped berry that is orange or red when mature. 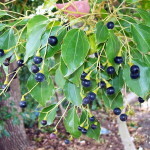 Although there is a form of Murraya paniculata that is native to the northern parts of Australia, the commonly cultivated ‘Exotica’ form is not native, and has become a significant environmental weed. Purple succulent (Callisia fragrans) is a fleshy plant which forms a dense ground-cover as a result of rapidly-growing runners. The leaves are clustered into rosettes and vary from green (in shady habitats) to purple (in sunny ones). Clusters of white flowers are borne on long stems. These are followed by three-celled seed capsules. Although this weed can reproduce through seeds, it spreads mainly by the runners and can take over large areas very quickly. Native plants can be weeds when they are introduced to places where they have an advantage over local species. This can happen if the factors that keep them under control in their natural habitat (such as insect pests or fires) are absent from their new one. 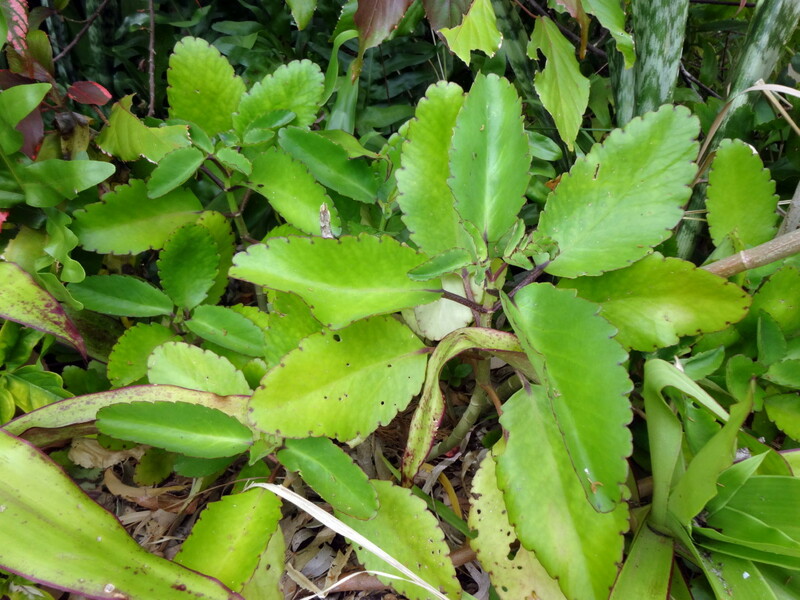 Fishbone fern (Nephrolepis cordifolia) is commonly grown in local gardens. 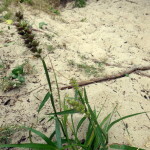 It has upright or drooping fronds about 50 cm long, with brown stalks. The leaves carry spore cases on the undersides. Underground, there is a network of wiry runners, with fleshy, rounded tubers attached at intervals. This fern spreads both by spores and runners and can completely cover large areas of ground, preventing the growth of native seedlings. 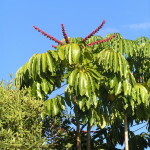 Umbrella Tree (Schefflera actinophylla) is a tall tree with large glossy leaves and distinctive “umbrella” flower-head. It has been popular in local gardens because of its ability to attract birds. Unfortunately, this has resulted in its spread to bushland where it outcompetes local species because the agents that keep it under control in its native northern environment are absent here.